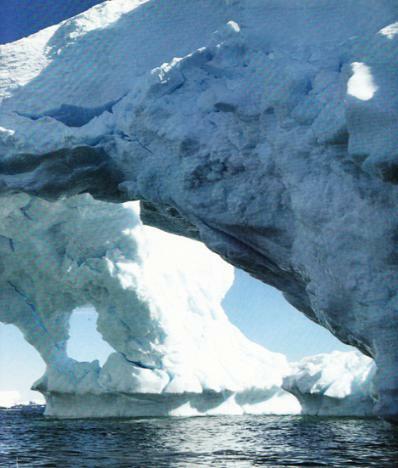 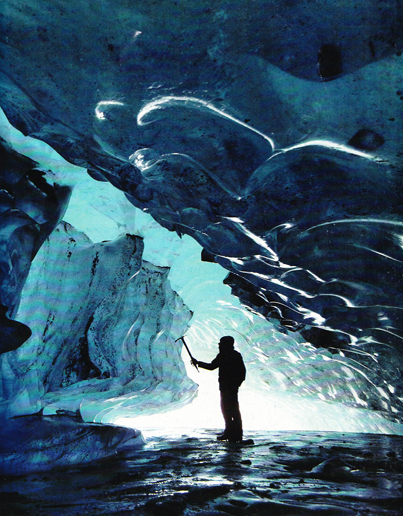 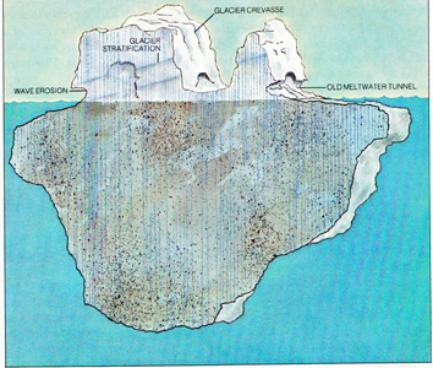 shown in the large ice berg below. 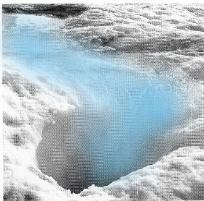 drain, producing an internal flash flood that could drown anyone inside the cave. 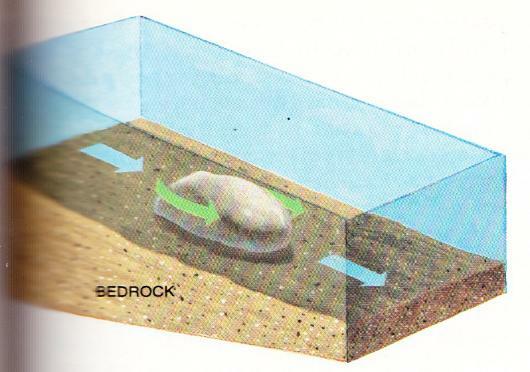 berg, as shown at left. 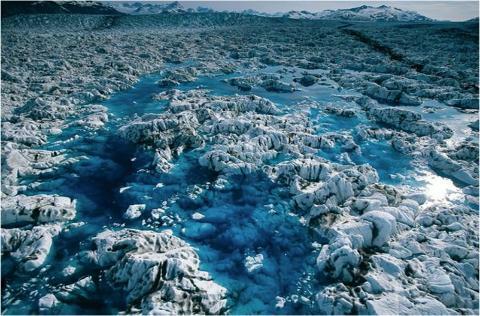 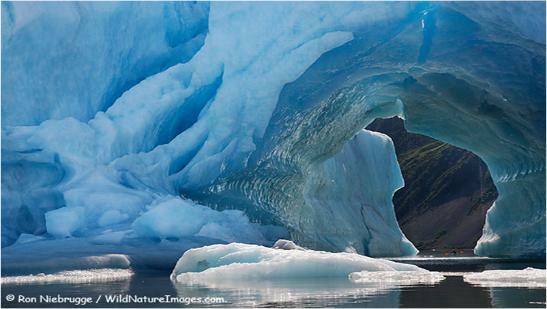 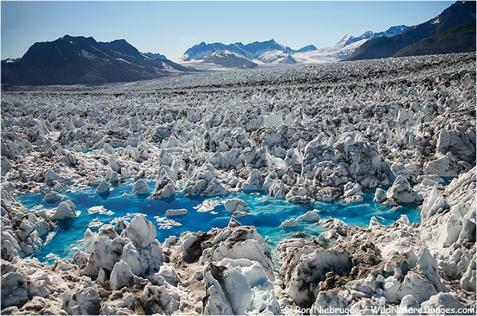 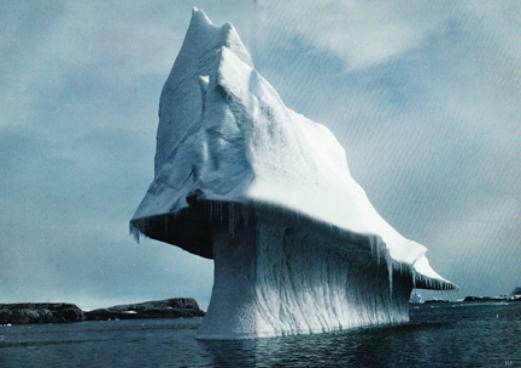 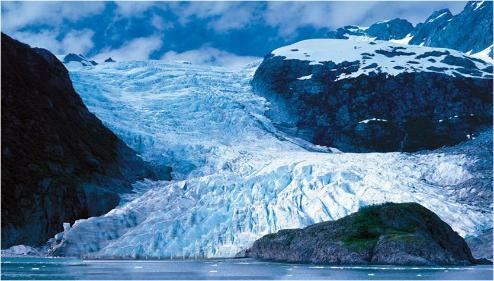 by shifting the mass of the glacier up or sideways, but by melting.